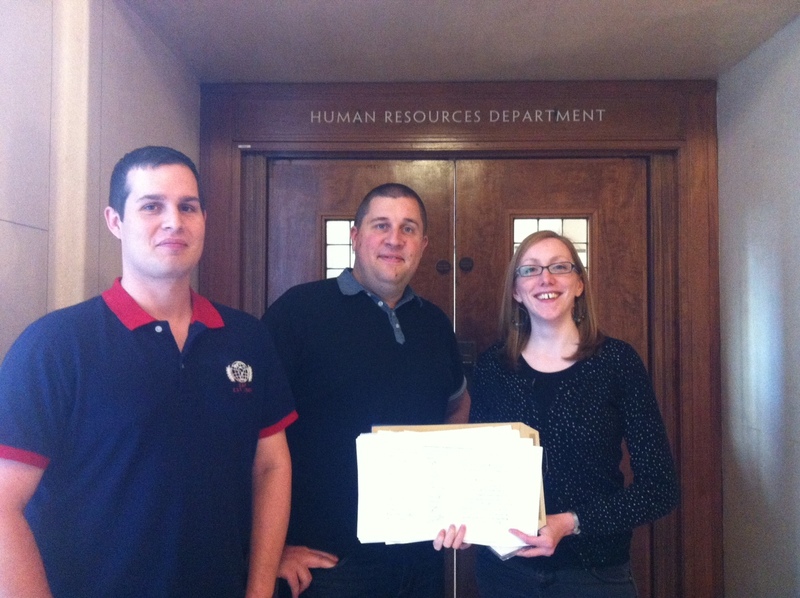 A petition signed by almost 400 staff was delivered today to the University of London. The petition, which calls for an immediate upgrading of London Weighting from the current level of £2134 to £4000, was handed in by IWGB Branch Secretary Catherine Morrissey along with Colin Watson and Graham Seymour from ULCC. Morrissey was in upbeat mood, saying that ‘the sheer number of signatures from across the University will be hard to ignore. Staff are paying more every year to live and travel in London – and this needs to be recognised with an immediate and substantial upgrade’. Let’s see what they say! And get in touch at uol@iwgb.org.uk with any questions or suggestions relating to the campaign OR if you haven’t signed the petition and would like to!